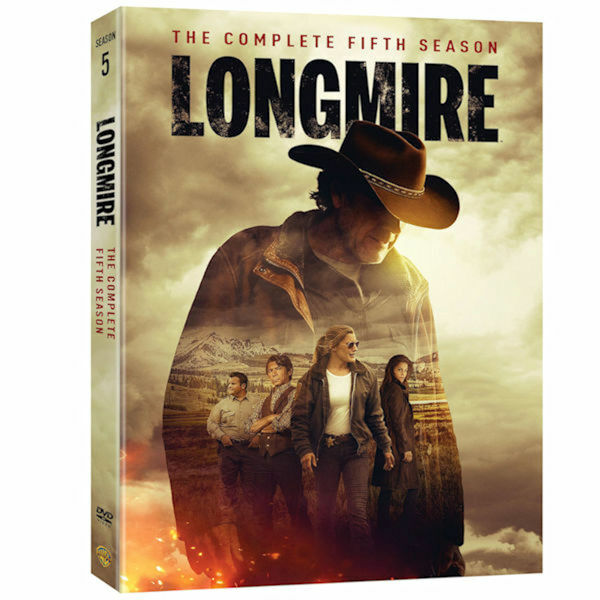 In season 5 of this acclaimed crime drama, Walt Longmire (Robert Taylor), the sheriff of Wyoming's fictional Absaroka County, searches for Donna. Henry helps Cady find a place on the rez, Malachi and Jacob's alliance weakens, and Vic solves her housing problem. Australian actor Robert Taylor "aces the laconic American lawman" (New York Times). With Lou Diamond Phillips and Katie Sackhoff. 10 episodes, 10 hrs, 3 DVDs, SDH. Mature audiences.